The problem with online curriculum vendors is that they insist on total control of their content. As a result, teachers lose their freedom to improve, enhance, or personalize any digital curricula that they use in their online or blended classes. Schools pay a reasonable one-time expense, then they own the full curriculum in a highly editable format (Moodle, Blackbaord, or just plain Word documents). 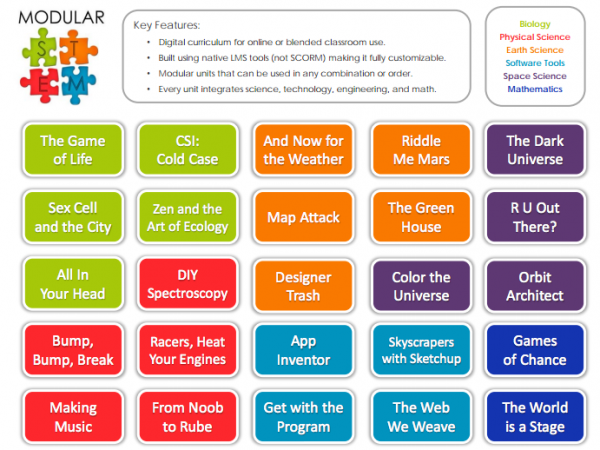 Teachers use this digital curriculum as a seed to develop and grow their own custom blended learning curriculum. I’d love to hear from you if you are interested in using or contributing to the project.